Cosmetic dentistry is no longer the stuff of reality TV make-over shows. It is an approach to everyday dentistry with an emphasis on aesthetically pleasing results. Cosmetic dentistry usually refers to treatments such as cosmetic crowns, veneers and tooth whitening. Not only are the technologies constantly developing to produce ever better aesthetic finishes, but these treatments are increasingly more affordable and no longer in the domain of the celebrity/rich and famous. Dr Sacranie has developed a keen interest in cosmetic dental treatments and completed numerous postgraduate courses in this field. 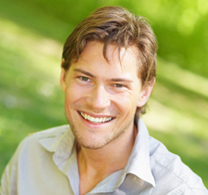 He has had many years of experience in smile makeovers with life-changing results for his patients. These are a brief description of the treatments offered at the Solihull Dental Centre and Implant Clinic. The direct technique, usually referred to as dental bonding or immediate veneers, usually involves placing composite resin on the outside of the tooth. The indirect technique usually involves two appointments because the veneers will be fabricated at a dental laboratory. At the first appointment the teeth are prepared, impressions taken, and the teeth are given a temporary covering. In two to three weeks the veneers are back from the laboratory, the temporaries are removed and the veneers are bonded to the teeth. The laboratory fabricated veneers are usually made using porcelain or pressed ceramic, and are very aesthetic. Some people dislike the idea of crowns as they believe they have black lines around the base, this is generally speaking not true particularly with the advancement of modern all ceramic crowns.